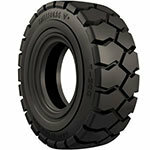 Solid pneumatic tires provide great performance in some of the toughest forklift applications. 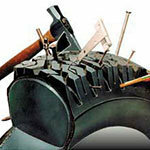 They are manufactured with a steel reinforced base for a perfect fit on their respective wheels. 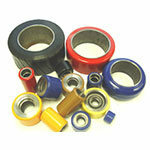 Being solid, they wont go flat, they are cut resistant, and they don’t wear as quickly as their air pneumatic brother. 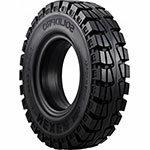 We offer a large range of pneumatic tires for almost all industrial applications and can foam fill them to eliminate flats. 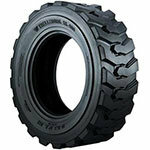 We keep a wide variety of forklift tires in stock. Since forklifts don’t normally have a suspension, on solid tires, they ride pretty rough, but by switching to pneumatic tires; it will give you a more comfortable ride making the job easier on you. 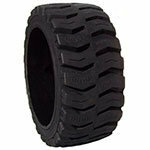 We offer a variety of molded cushion tires that go on most indoor and warehouse equipment. 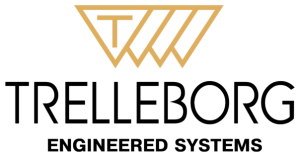 We carry a massive stock of all the common cushion tire sizes and even some of the obsolete “odd ball” sizes so we have what you are looking for, when you are looking for it. FLATPROOF YOUR TIRES & ELIMINATE FLAT TIRES ONCE AND FOR ALL!